Mom – I miss you. Once pulled – green restored. Always watching for their return. 30 Words Thursday – a fun weekly writing challenge at “Treasures Found”. After writing about our attack on the dandelions for Slice of Life Tuesday, this poem just asked to be written! It’s the Midweek Check-in at ROW80. The biggest thing this week, was the detour I have had to take in my writing course. I was working on catching up on the lessons and doing fairly well, when i realized my picture book story did not suit the pb format. So yesterday, I started over – new characters, setting and problem. I had already started on a draft for this (written during PixBook WrMo. So have spent some time planning catch=up again. But this story is much easier to work with and grow. 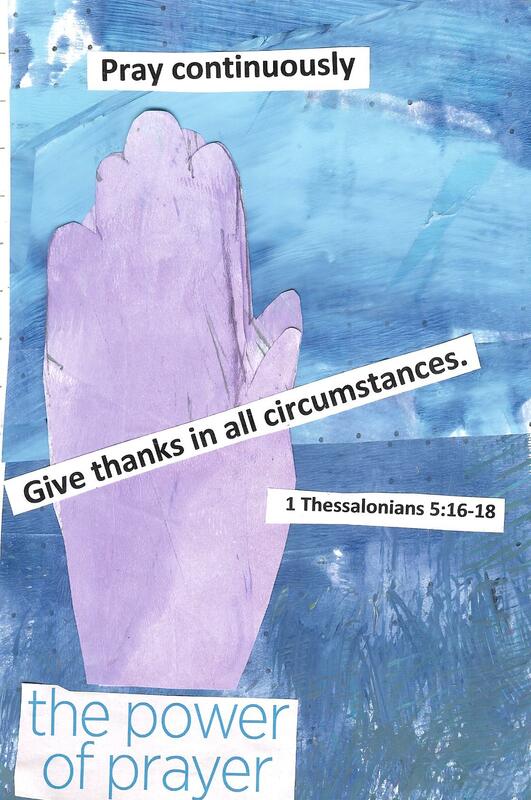 I posted on Tuesday – Slice of Life.. So, the rest of this week, my major push will be to complete the lessons with the focus on the new characters. As well, I will create my 30 word poem on Thusrday. As the inspiration comes, I work on whatever story captures my imagination as well. 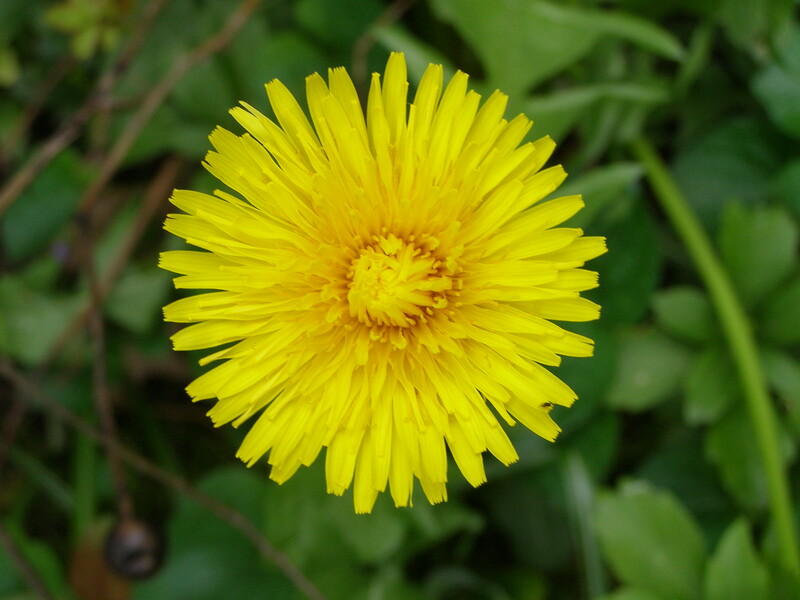 We finally declared war on the dandelions in our yard Sunday afternoon. After a week away in Montreal and then a very rainy week last wee, were able to get outside and actually work in the yard. The lawn by then was over run with dandelions. I manned the weed puller and my step-daughter put grass seed and more earth in the holes. I was exhausted after an hour of steady work. O couldn’t believe the length of some of the roots. 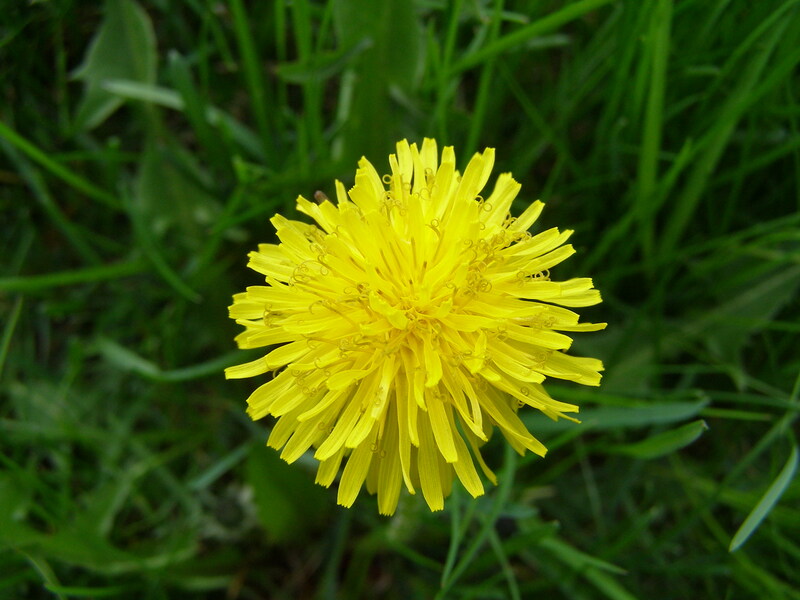 My husband prides himself on keeping our lawn dandelion -free all summer. He does a little bit each night. 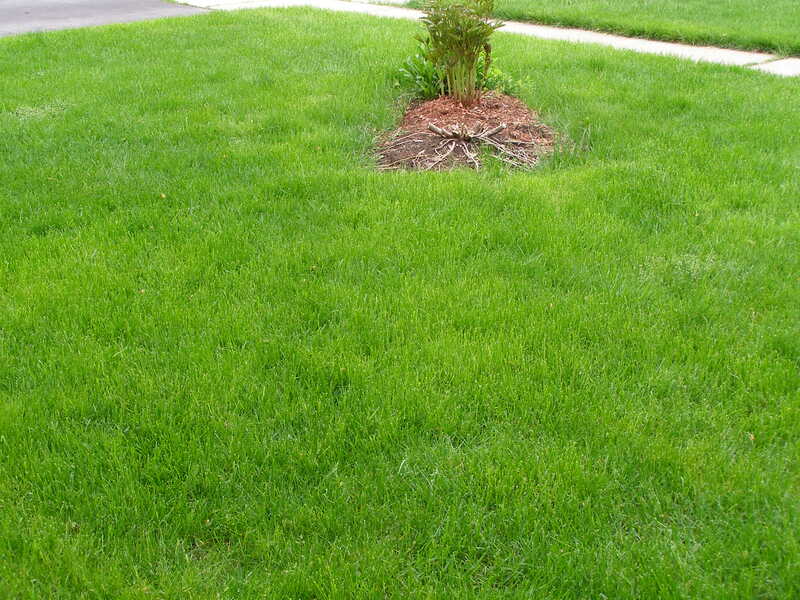 At least now, there’s no yellow, only a lovely green, mown lawn.It will definitely be easier to keep those pesky weeds at bay when there are only a handful to eradicate at a time! Another Sunday check -in – only a bit late. The past few days has seen some writing, some editing and work on my writing course. I have added another chapter to “Fired” , and was working on more edits for this book as well. I also posted on Thursday, my 30 words poem “Prayer”. One thing I have found lately, the more I write, the more ideas keep coming. Inspiration is everywhere – in the street (squirrels), in the paper and news (ducks) and just watching people. My idea file is growing! I also need to carry a steno pad, especially on the bus. Ideas come to me or a scene will appear and I have to get them down. As soon as I close my eyes at night, a scene will begin to play and I have to get up and write it down. I’ve learned to do that after losing a few scenes. This week, I plan to catch up on the lessons on my writing course, so that by Wednesday, I will be on track with everyone else. It is a small group, with a private facebook group which is good. I need to do some catching up there as well. I also want to write daily and to post to the challenges I am taking part in. A day late in reporting my progress for this week for ROW80 – Mid Week Check-in. I have been doing some writing – small blog posts and I am on track with this. Writing short pieces the past few days has helped. I am also adding to my idea file. It is always surprising where the ideas come from. I joined the Cambridge Writing Club last night and attended my first meeting. We did some free writing and shared a piece of writing for critique. It seems like a very supportive group and meets twice a month. I received a critique I won in an online auction for “Girl with a Curl” and I will have extensive revisions. Hard to deal with a critique that basically panned it. But I still believe in that little girl, and will do what it takes to make it better. Just plan to put it aside for a couple of weeks. I have added a couple more scenes to my “Fired” novel. I’m really enjoying the characters and their growing chemistry. 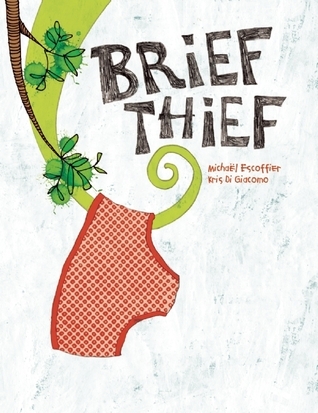 I am trying to catch up on the “Picture Book Magic” writing course. Being away for a week didn’t help, but I am going through the lessons one by one. Hope to be caught up by the end of the weekend. This poem was inspired by the past few weeks, with the illness and then death of my father-in-law and then the major surgery of my brother-in-law Jim, as well as concerns from friends. I do believe in the power of prayer. I keep a prayer diary and record prayers for loved ones and requests. 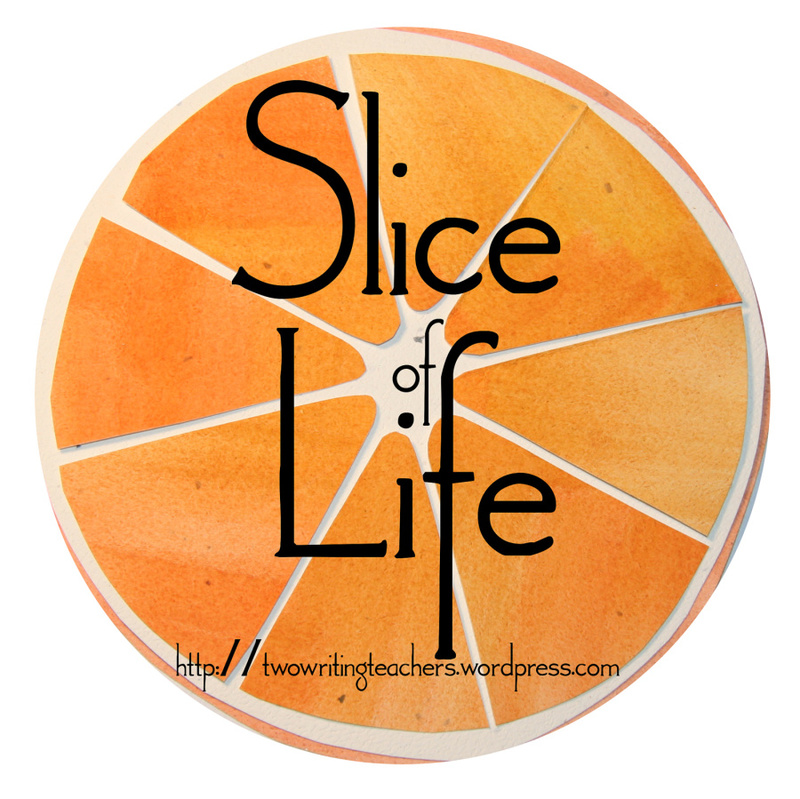 Slice of Life Tuesday is a weekly writing challenge hosted at “Two Writing Teachers” that encourages us to take a look at a small part of what is happening in our lives and share it. This past week was a difficult one. We had known my husband’s dad wasn’t well for awhile. We had gone to Montreal at Easter and visited with him. But last Monday we got news that Dad had slipped away peacefully, just a month short of his 88th birthday. Although we were expecting it, it was much sooner than we thought it would be, and was a shock. Wednesday we left once again for Montreal, an eight drive. This time we were accompanied by Bill’s daughter and her son, so we were sandwiched in the car. Even though we usually travel alone, it was comforting to have someone else with us this time. The next few days were filled with visiting, stories, tears, the visitations on Thursday and then the funeral on Friday. Bill has a large family and most made the trip.His father was one of 8 children and each sibling had 5 or more children. It seems that lately it has been funerals where we get to see each other. So good to connect with family, but a sad time to do it. I experienced so many emotions and thoughts this time. I had known Dad for almost 14 years and I found him a charming, funny but difficult man at times. He was always kind to me, but Bill had a different, harder relationship as the oldest son.We already miss those weekly calls where we discussed horses and racing. We will miss the yearly visits with him to Saratoga as well. Bill’s siblings are already planning that trip already – as a homage to their Dad. As we helped Bill’s sister clear out Dad’s things from his apartment on Saturday, i was struck again with how survivors view those worldly goods of their loved ones. We question why they were special. I can only imagine how my children will view my special things after I am gone. They already think I have too much stuff! I’ve decided to start a catalogue of things I want them to know the history of and why they were important to me. It won’t guarantee they will be kept, but at least they will know what their meaning was. Death causes us to take stock, to reflect, to pause and honour our loved one, to see our place in the grand scheme of things. I’m still reflecting since we came home Sunday. It’s Monday – what are you reading?? This is a fun meme at “Teach Mentor Texts“. “A Snicker of Magic” by Natalie Lloyd. 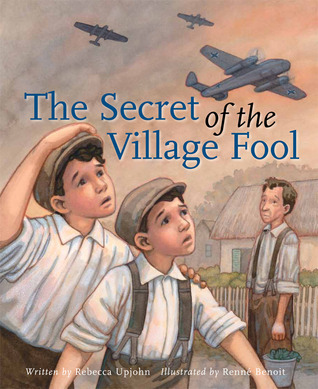 There has been so much discussion about this book. I did enjoy it, but then I love fantasy and sci-fi. This had a touch of that.Loved that Felicity was able to overcome her fear and perform. This was a quick, fun read. 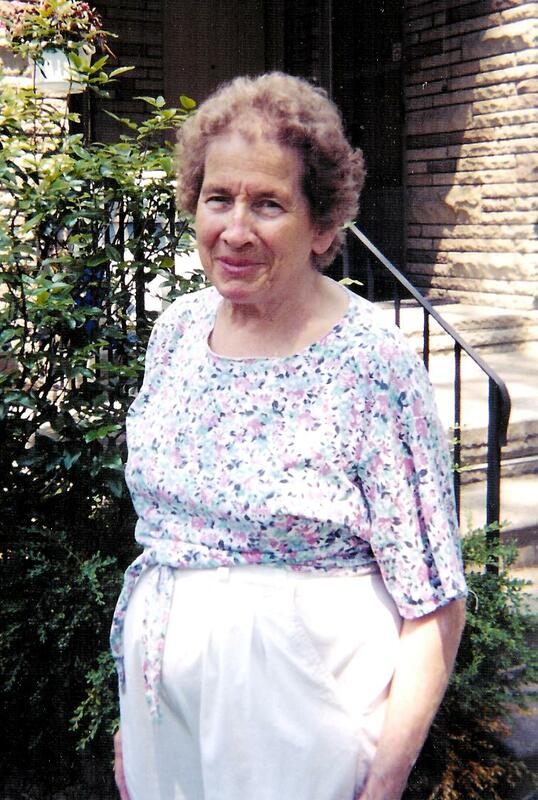 Having written stories with grandmothers I am drawn to stories about them. This one didn’t disappoint. 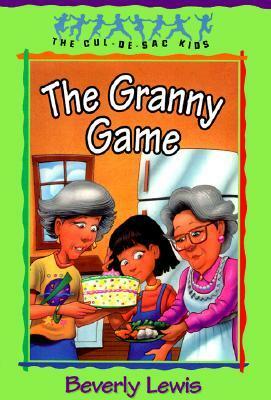 I enjoyed the two different grandmothers and their interactions with the children. Completely different – funny, rude and unexpected. Boys will especially love it! It is Sunday Check-in for ROW80. After almost a week away from blogging, I felt I should quickly check -in. My father-in-law, Jim, passed away last Monday and we have spent the past five days in Montreal. THe eight hour trip down on Wednesday and the return long trip today, meant I was able to catch on some reading and writing. *I finished “Bird by Bird” and really enjoyed it. Lots of nuggets there. *I read lessons 4-7 of my Picture Book Magic writing course and was able to work on my story for this course. 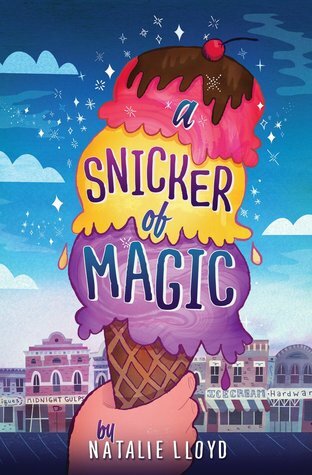 *I read “A Snicker of Magic” – great book. (more research (!) for my writing. *read a number of articles on writing. This week, I will once again try to get back on a regular routine of writing and research. I need to write daily and work on my course.